When you are using Die-Namite dies, you get explosive results! 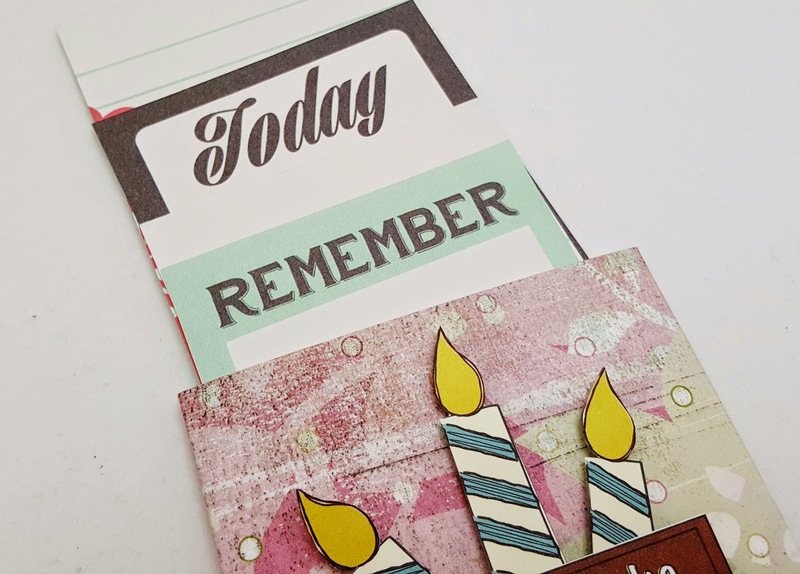 See today's fun card by Alexia Misso! 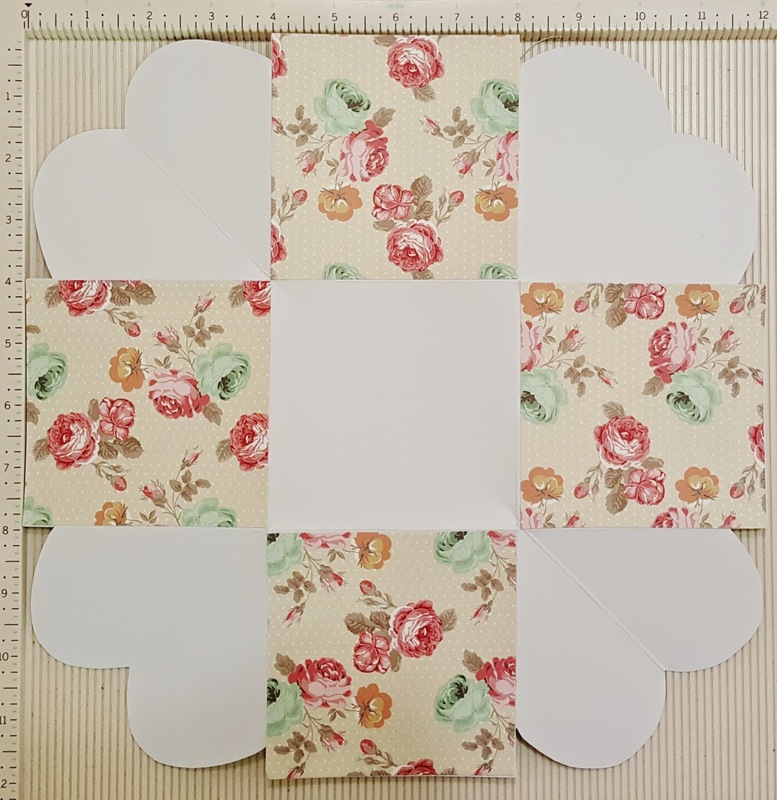 Hi all Crafty friends! 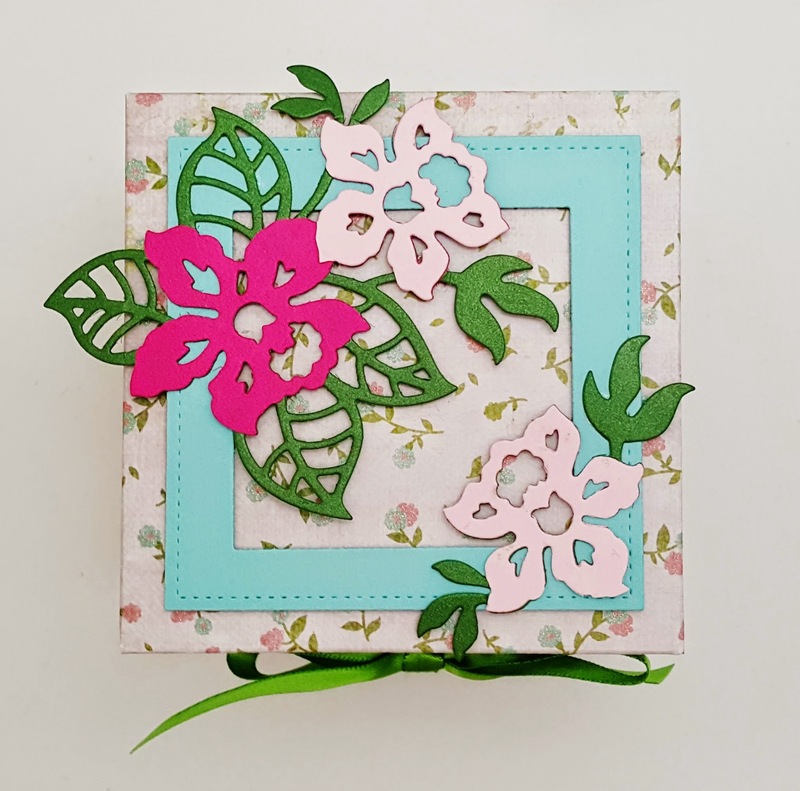 I'm here to share the second project I created using Craftwell Cut 'n' Boss and Die-Namites dies. This time I decided to make this exploding card to share with you, it's actually my first attempt and I find it pretty fun to create. This is probably not something new you've ever seen but I find this quite impressive, I didn't know I could actually make an exploding card in this form so I was pretty excited. hehe. And to those of you who's just like me, a little amazed by this project? Don't worry, I will share with you some tips I learned to make this. I think it would be a great idea for Father's Day card! 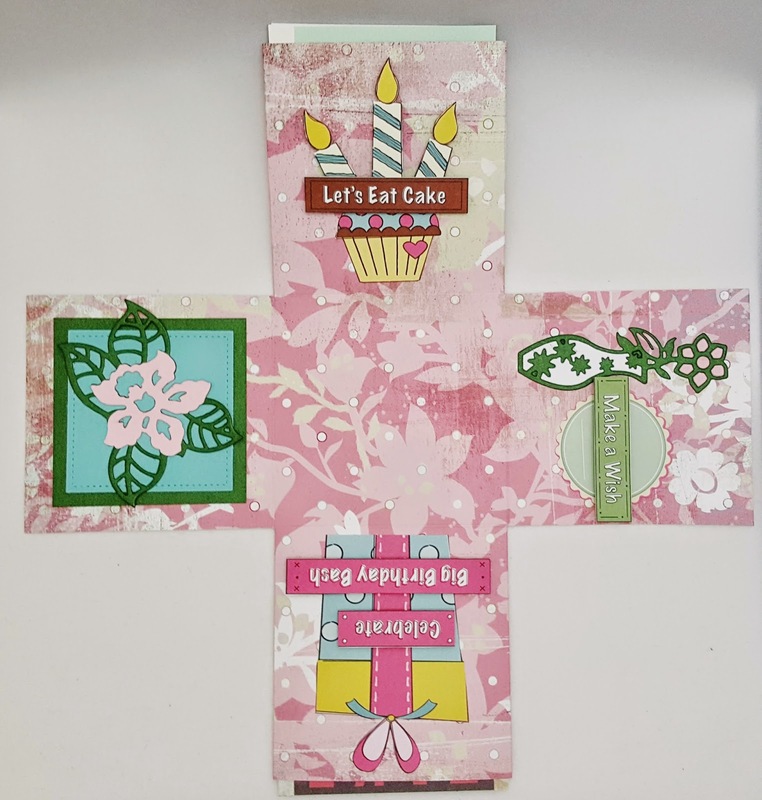 This exploding card consists of three layers, so you will need three 12x12 patterned/solid card stock and another one for the cover. 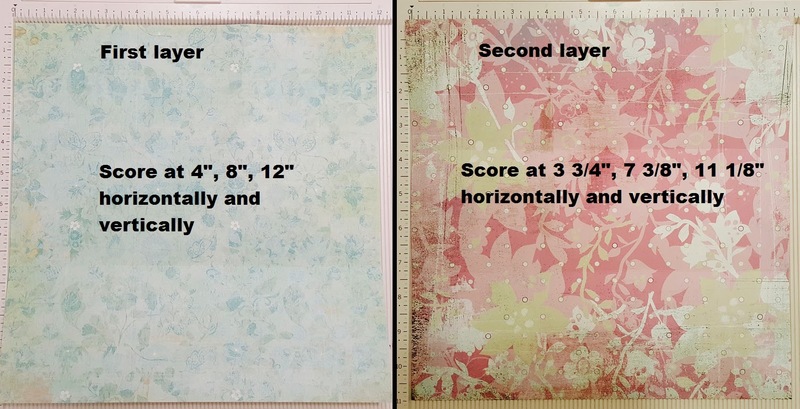 Step 1: To create the first and second layer, refer to the picture below and score your card stocks accordingly. 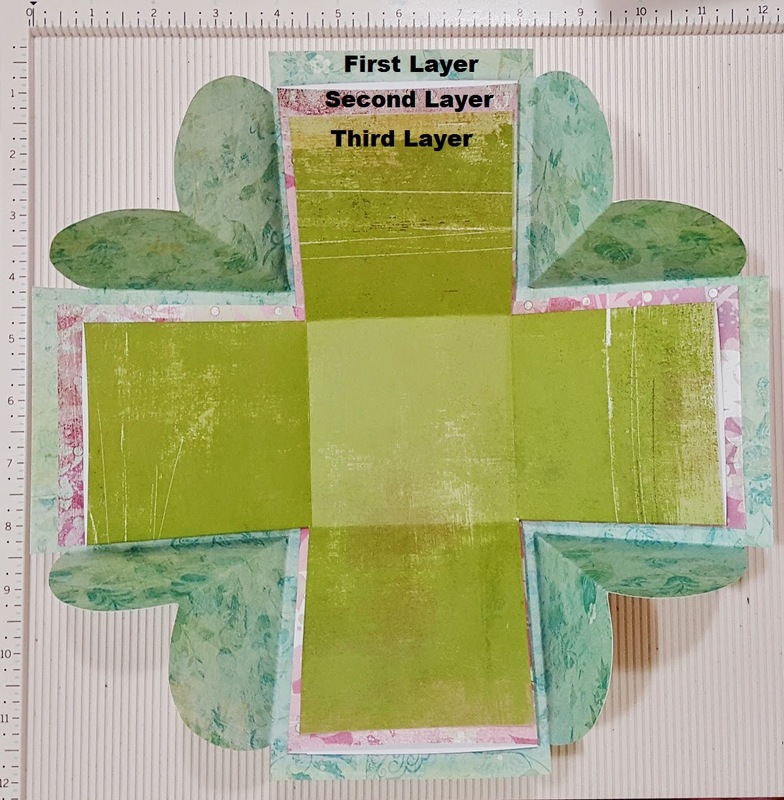 Step 2: Cut a heart shape on all corners on the first layer of card. 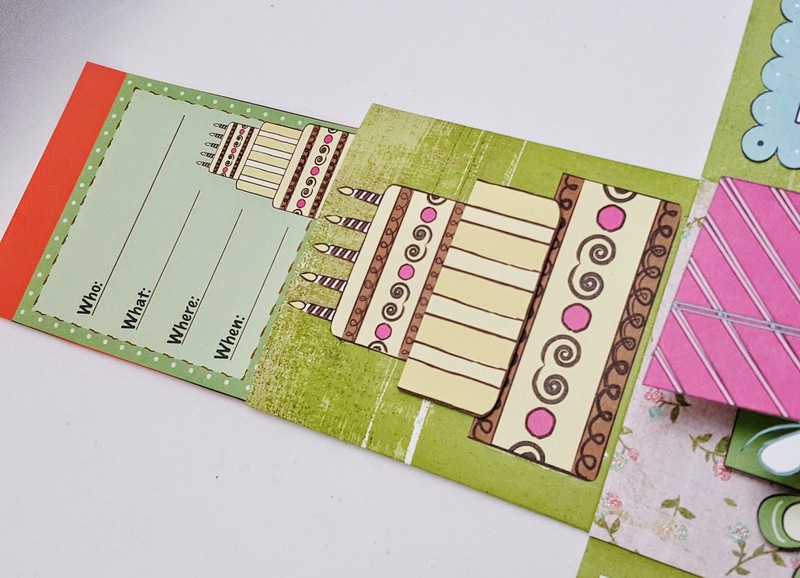 For the second layer we are going to create little pockets for the inside of the card (I will show you this part in Step 7). 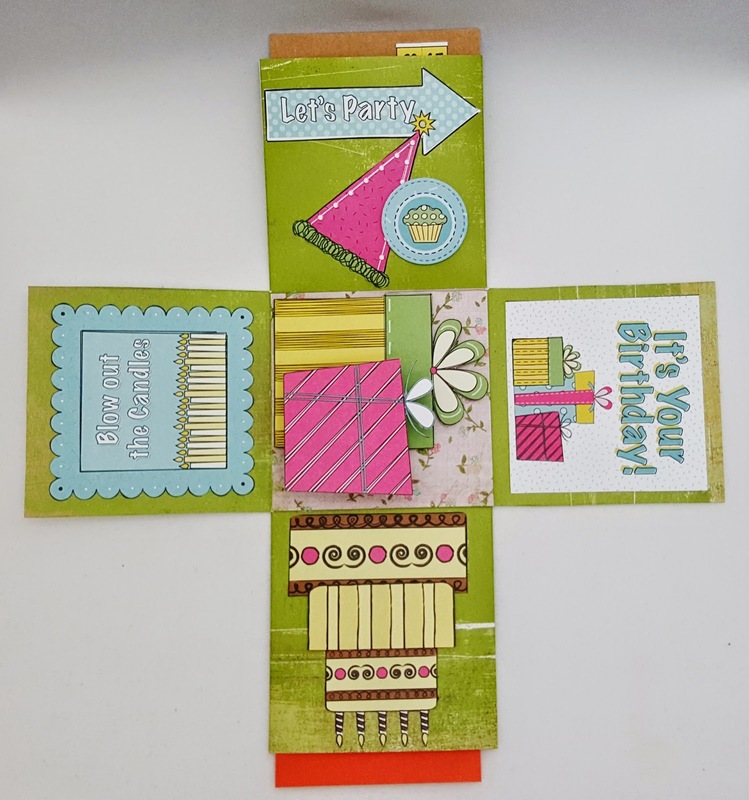 Step 4: Trim four pieces of 4x4 square patterned card stocks to embellish the outer box (on the first layer of card). 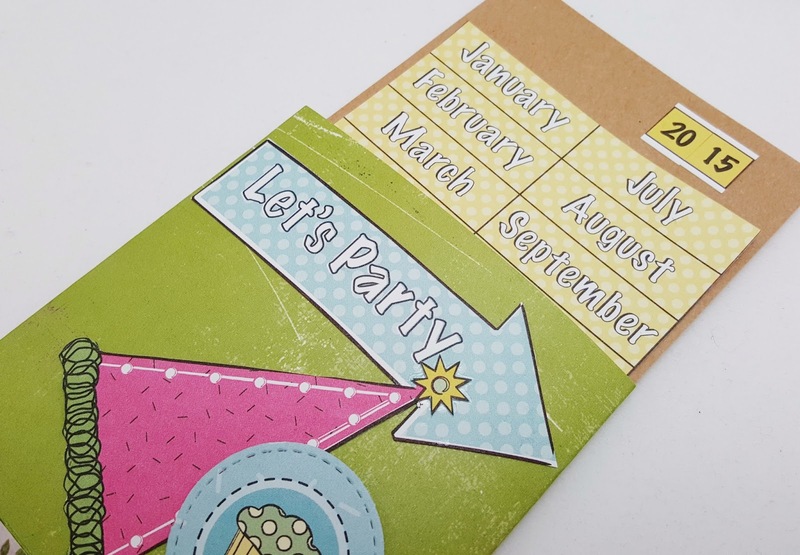 Step 5: To make the cover, take another card stock and score at 1 1/2", 5 1/2" and 7" both horizontally and vertically. 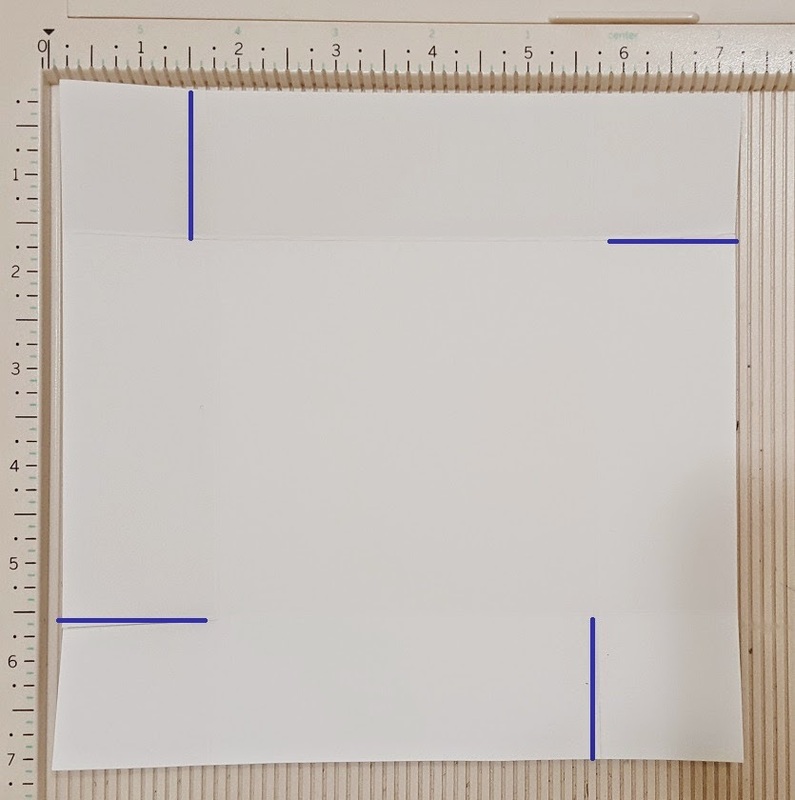 Cut (as shown in blue lines below) and glue flaps together to form a box. 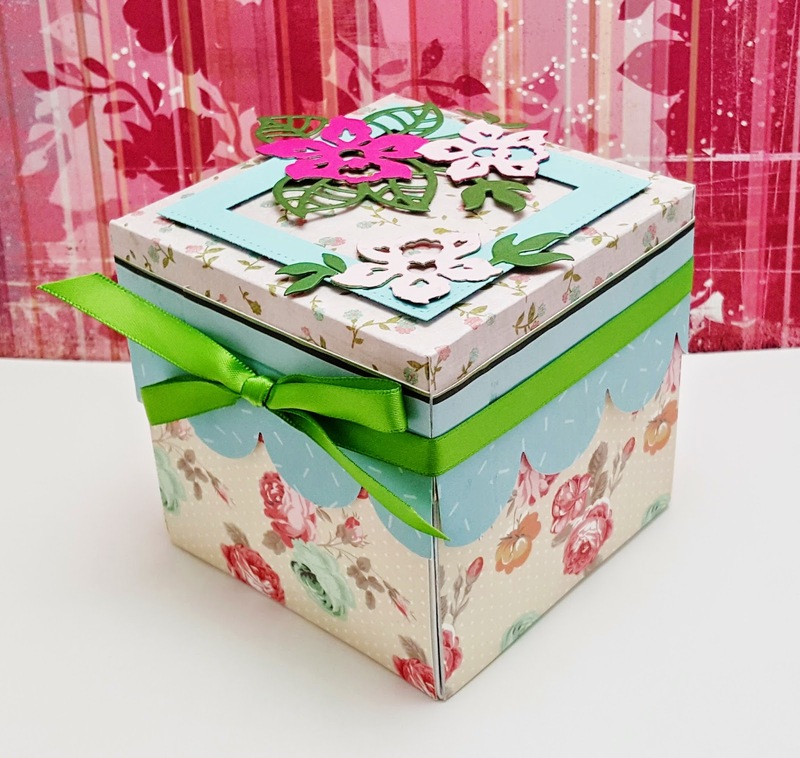 Step 6: Start embellish the card, start from the exterior of the card/box using Die-Namites five petals flower die. 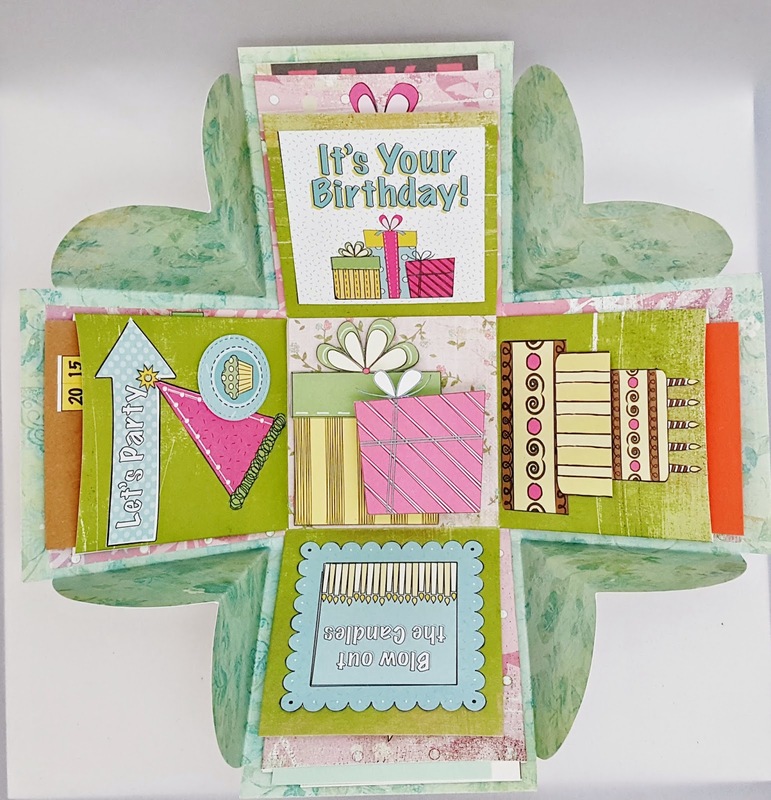 Step 7: Let's move on to decorate the interior of the card/box. 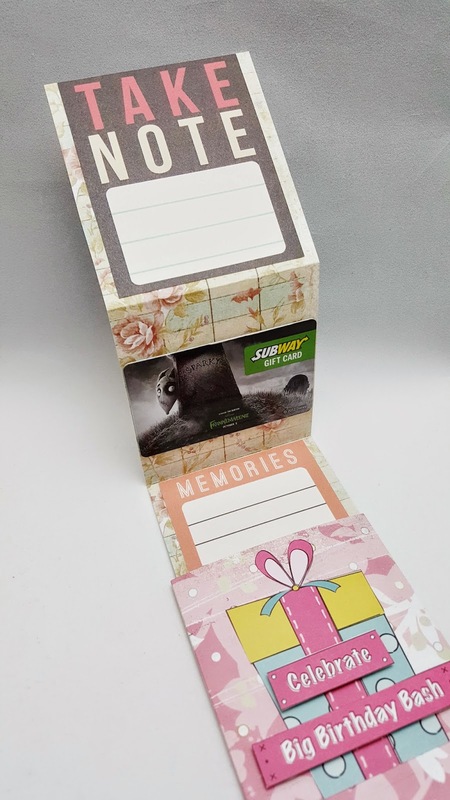 Here is my finished project, when you lift the cover the card/box will kinda "exploded" and reveal everything inside. LOL. How do you like it? Leave me a comment, I would love to hear from you! :) I hope you enjoy making this exploding card too. Until then, Happy Father's Day to you! Happy creating! How fun would it be to receive on of these cards?! Let us know if you ever had in the comment section!